Billy Pugh Co. – who were inducted into the Offshore Oil Industry’s Hall of Fame in 2001 - mission is to manufacture a full line of premium quality Marine Safety equipment. With close to 50 years of commitment to quality, Billy Pugh continues to "over-build" their safety equipment with products exceeding the minimum standards set by USCG, OSHA, CE and ANSI. Billy Pugh Co. will even work closely with customers to customize an existing product or develop a new solution for a specific application. 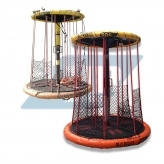 The Billy Pugh Personnel Transfer Net became the industry standard all over the world. 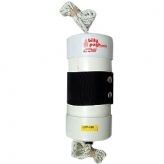 Billy Pugh products have saved and protected many lives over the years and the Billy Pugh brand is a symbol of the offshore industry.